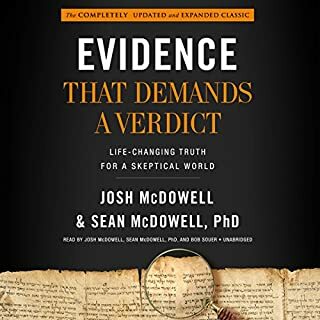 This book is probably great as a paper reference - it is not good as an audio book for two reasons: (1) the reader (often Sean McDowell) has an almost robotic voice that is not easy to listen to. In some parts it almost seems like they recorded him saying various words/phrases and then computer-generated his audio using those recorded samples, or something, and (2) much of this book is organized more in a reference format with outline #s and letters. The voice-over reads every one of those numbers and letters like "I. Old Testament. A. Septuagint. 1. Number of manuscripts. a. Verified" or something like that. It wouldn't fix everything but it would be better if the performer just skipped over all those "headings" and let the narrative flow, or somehow presented the information in an audible-friendly way. Mere. Christianity is a classic work but it is as relevant today as ever. C.S. 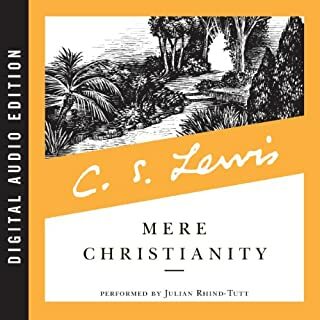 Lewis dispenses with the doctrinal slicing and dicing and lays out the important and straightforward elements of Christianity in simple terms, illustrations, and analogies. While few will agree with all he says, he graciously allows for that and even expects it, while still producing a substantial volume that, largely, Christians of all backgrounds will have a hard time disagreeing with on the whole. 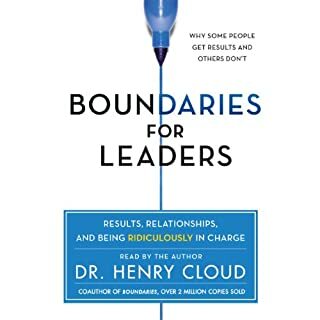 I'm not a big fan of Cloud's writing style which I've found can be boring in other books of his, and in this book he can sometimes go on for a long periods rattling off strings of leadership buzz phrases. However it's worth hanging in there because this book does have a lot of very good stuff in it that makes it well worth reading (or listening to).